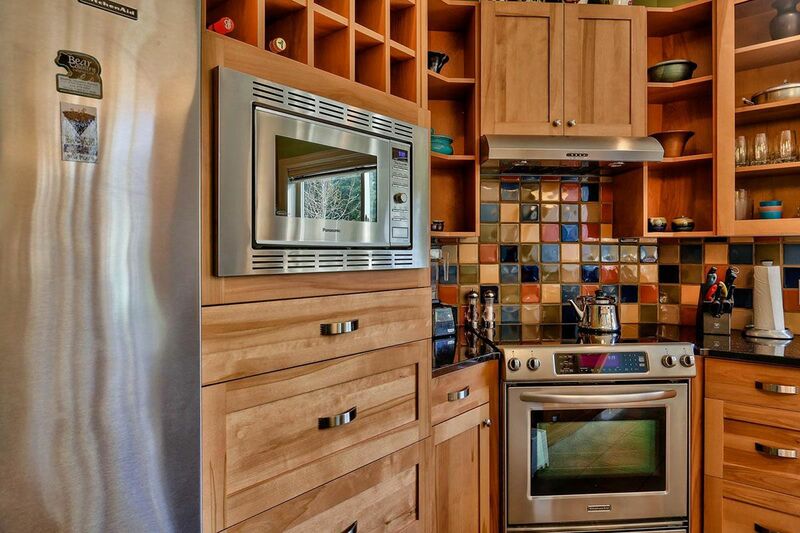 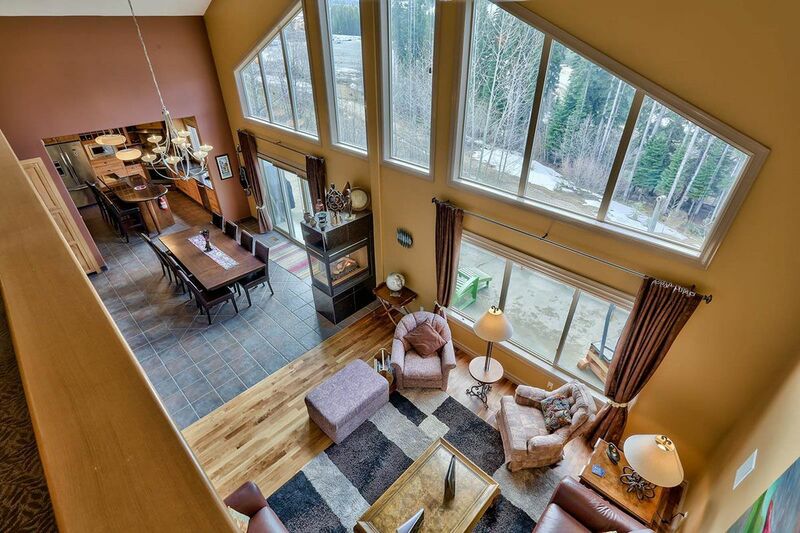 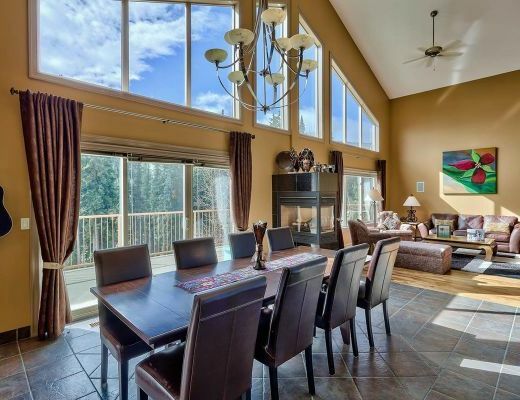 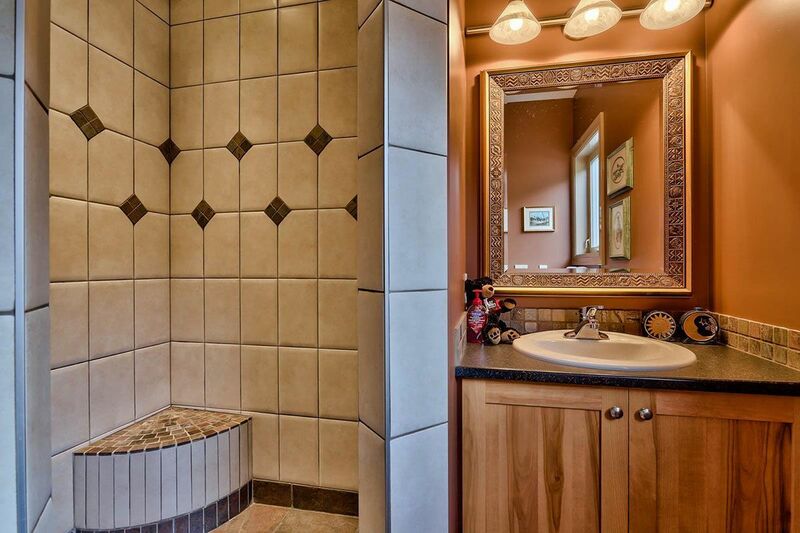 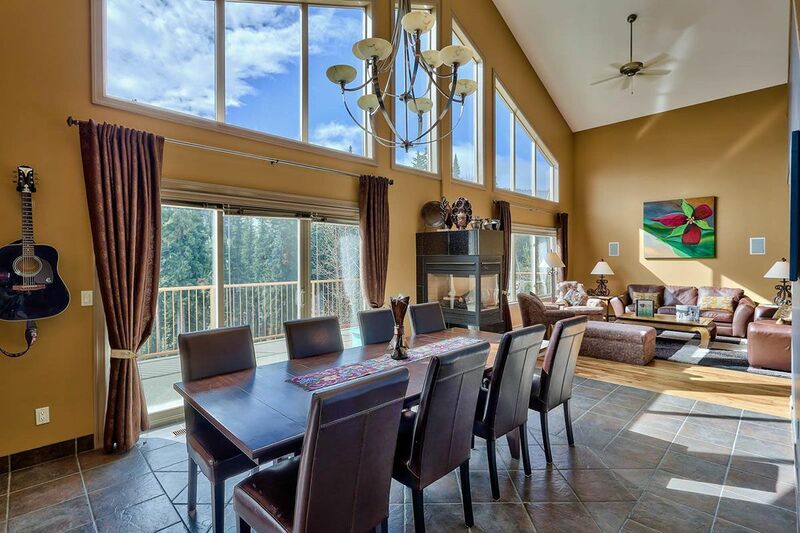 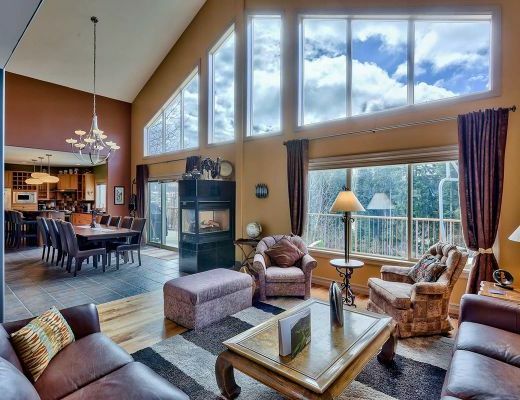 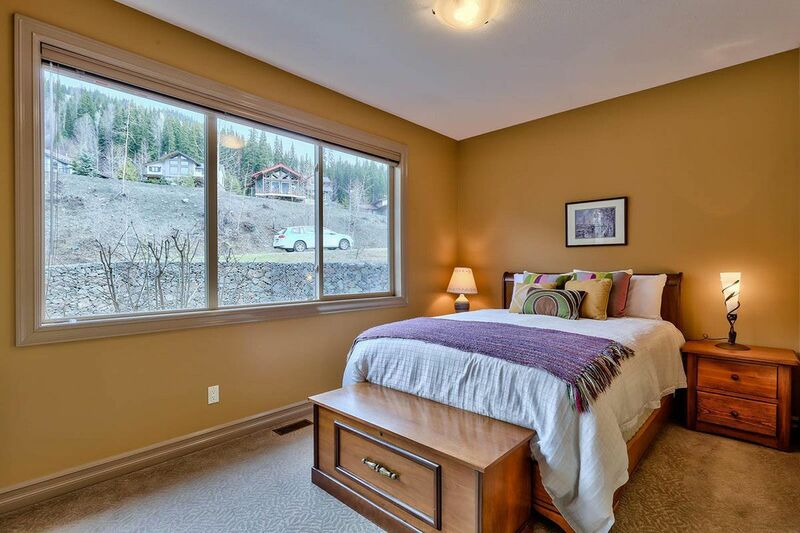 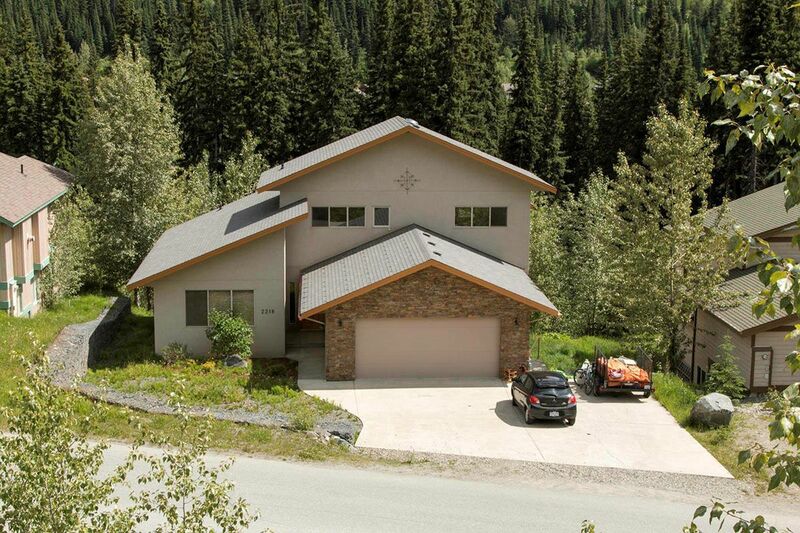 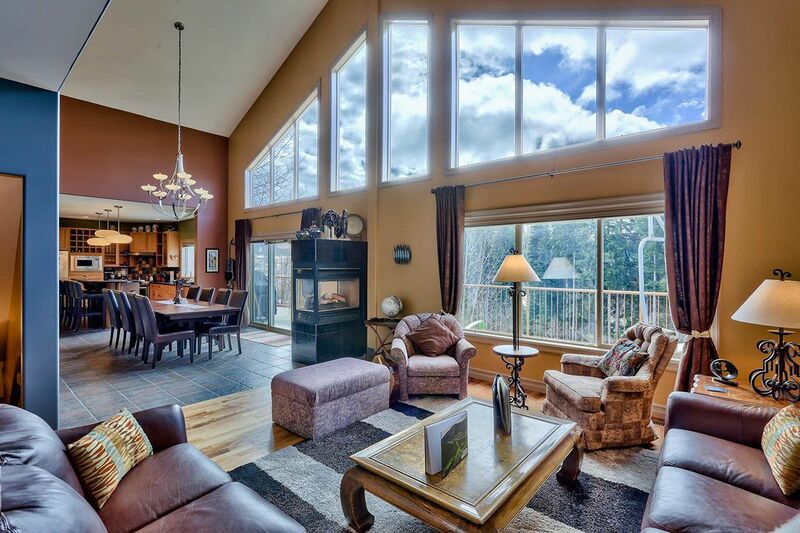 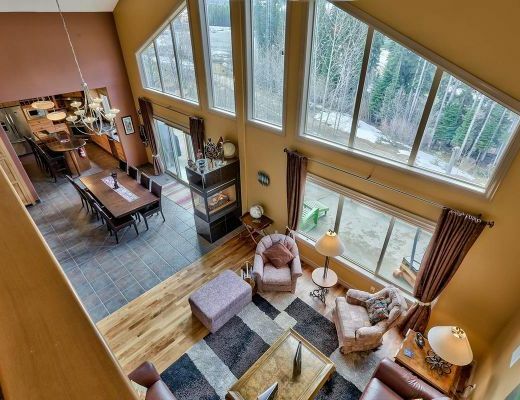 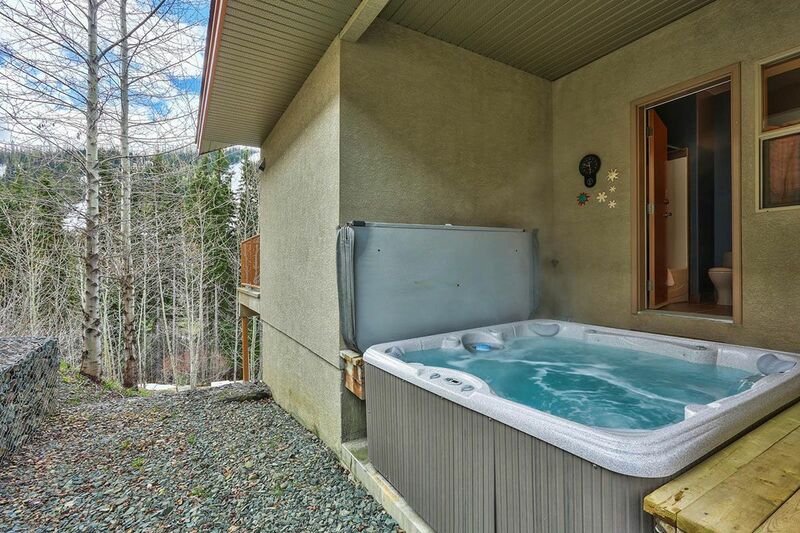 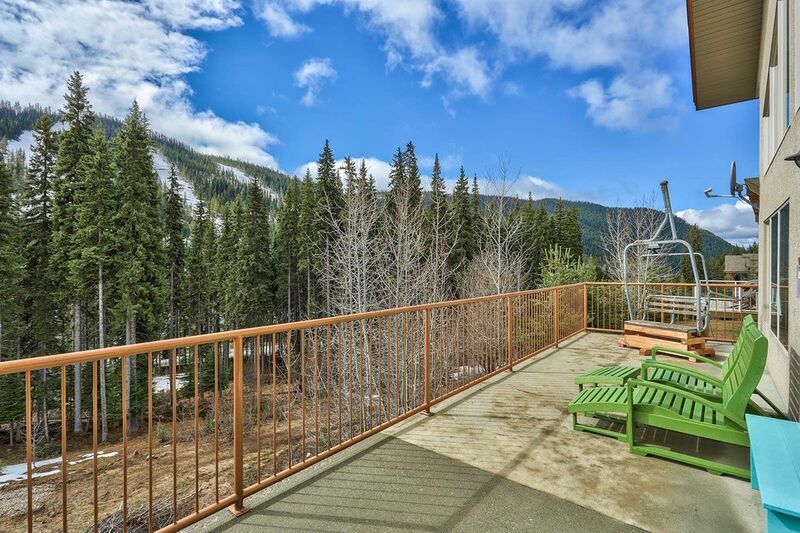 Soleil Chalet is a custom built mountain home with many special features for you to enjoy! 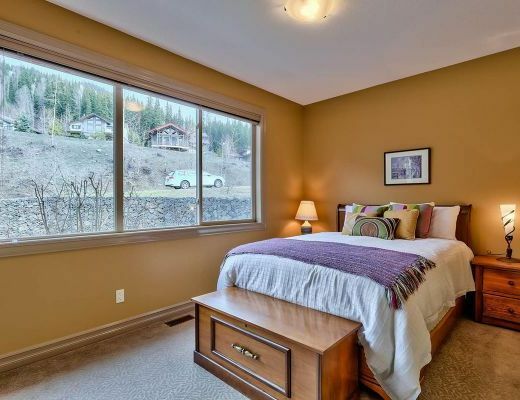 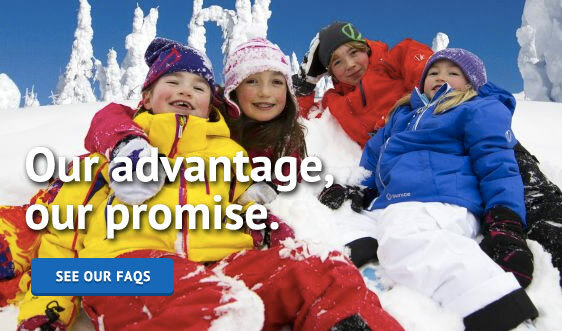 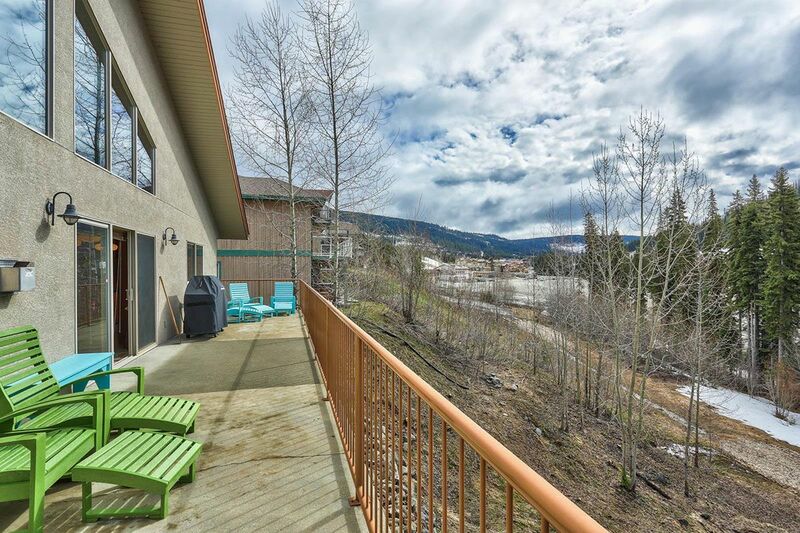 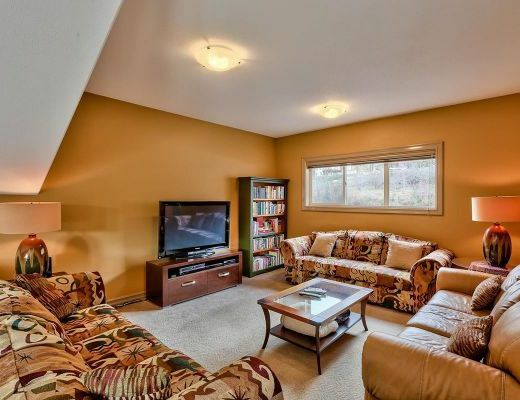 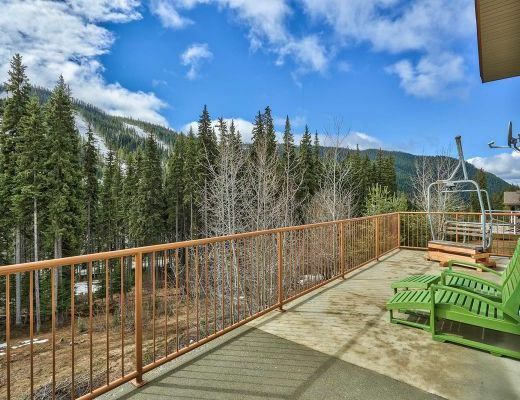 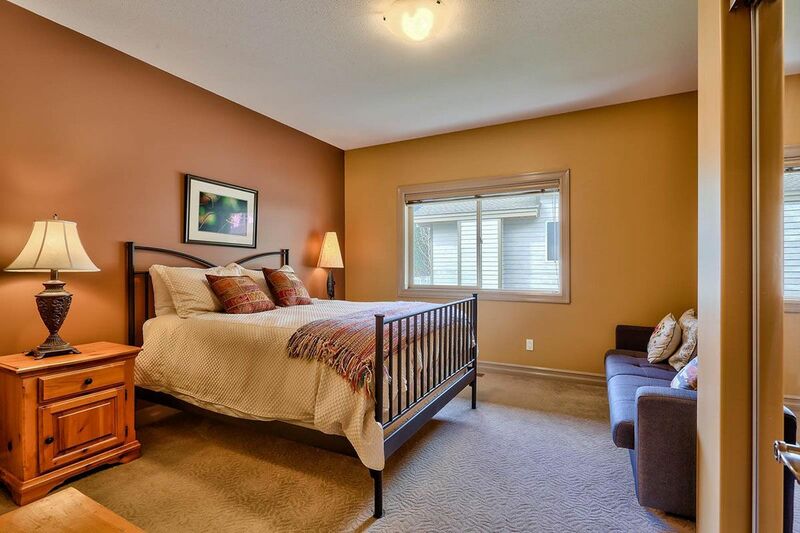 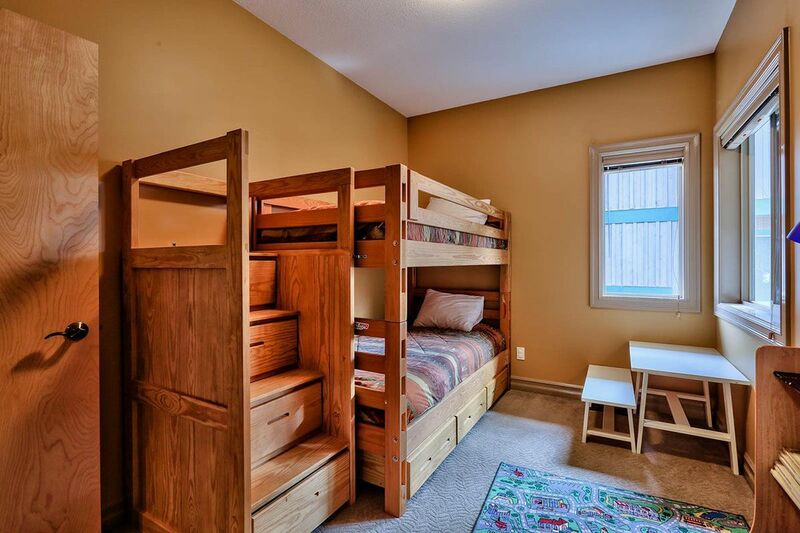 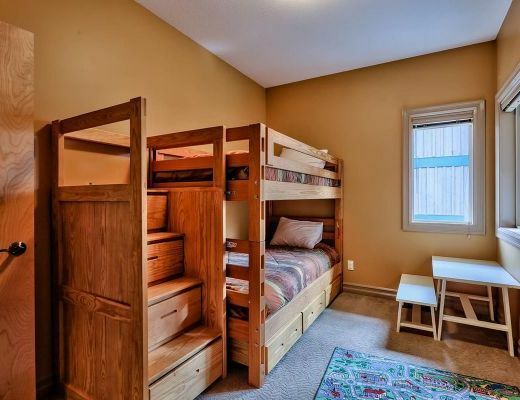 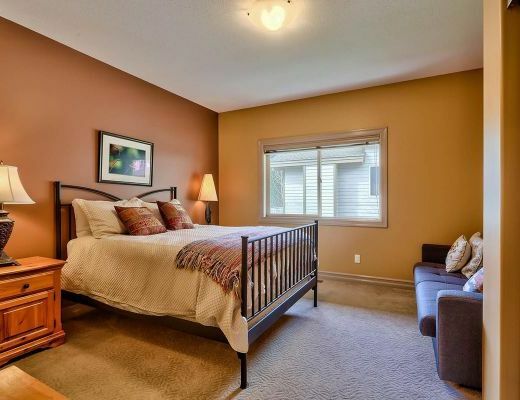 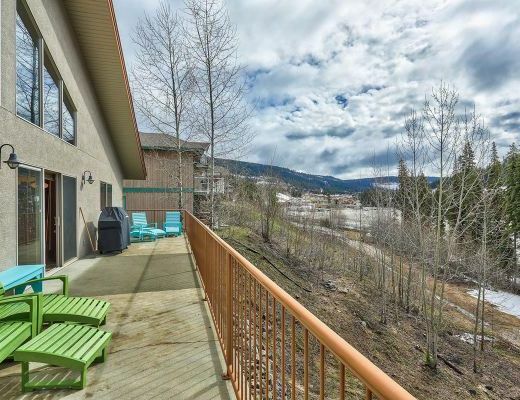 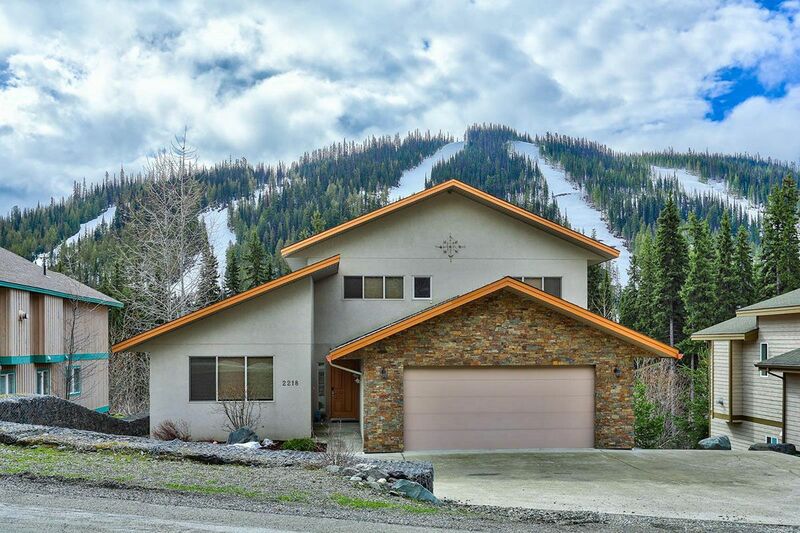 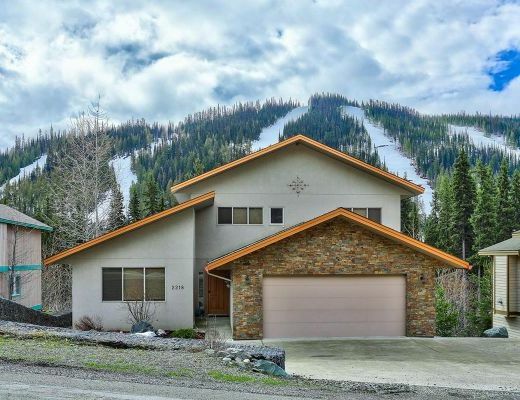 It is located on Sunburst Drive with convenient ski-in and easy access to the main lift area. 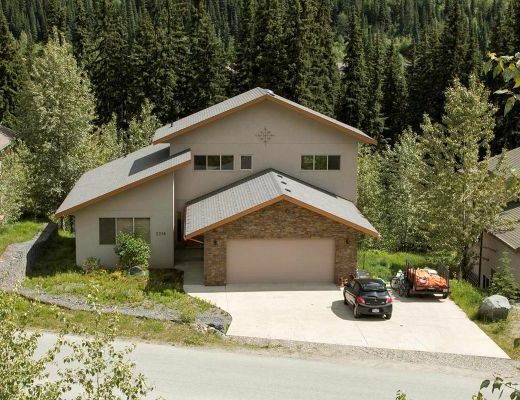 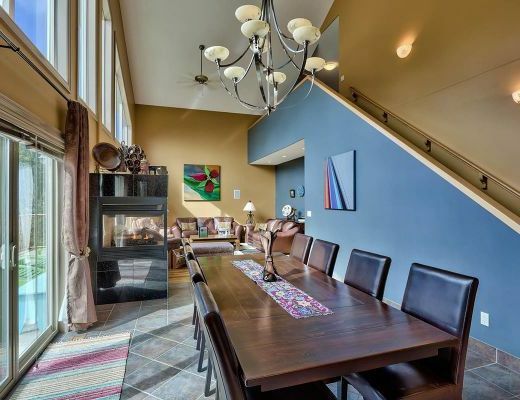 The chalet is designed with an open floor plan.The living room as well as the kitchen are south-facing and open to a huge balcony/sun deck running alongside the full length of the house with beautiful views of Mt. 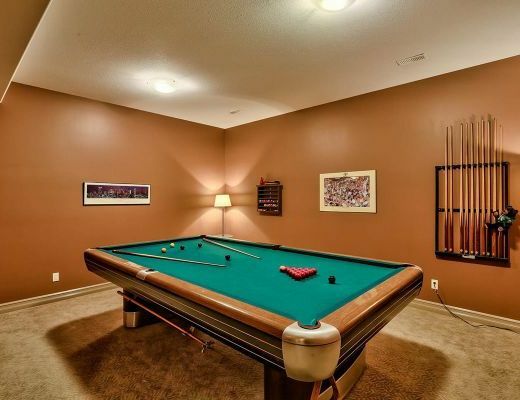 Morrisey. 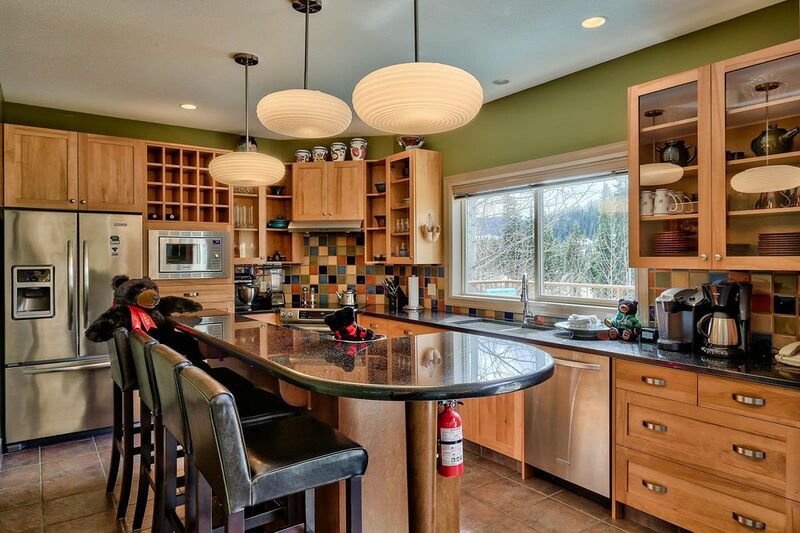 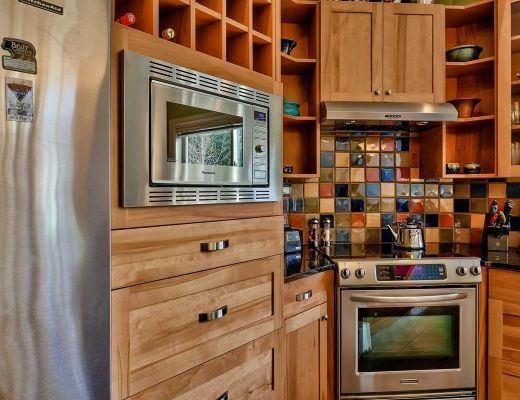 The inviting kitchen is equipped with stainless steel appliances, granite counter tops and comes with a Keurig coffeemaker. 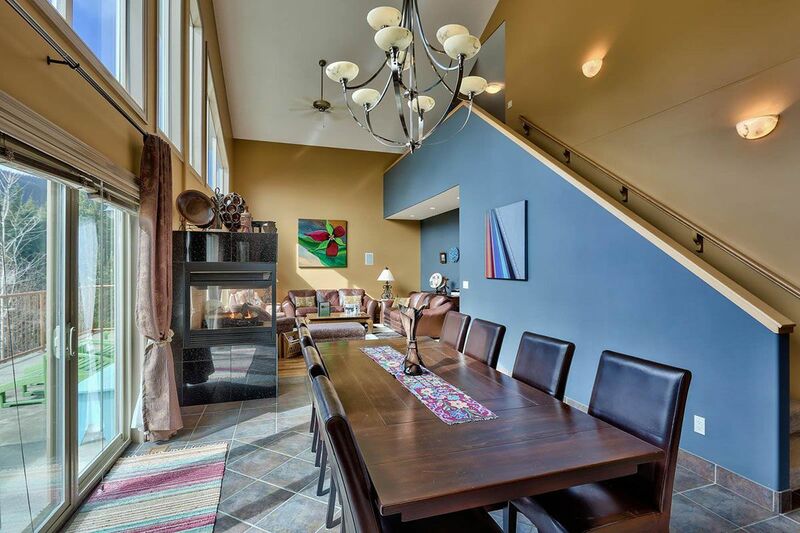 The living and dining room feature a 3-sided gas fireplace. 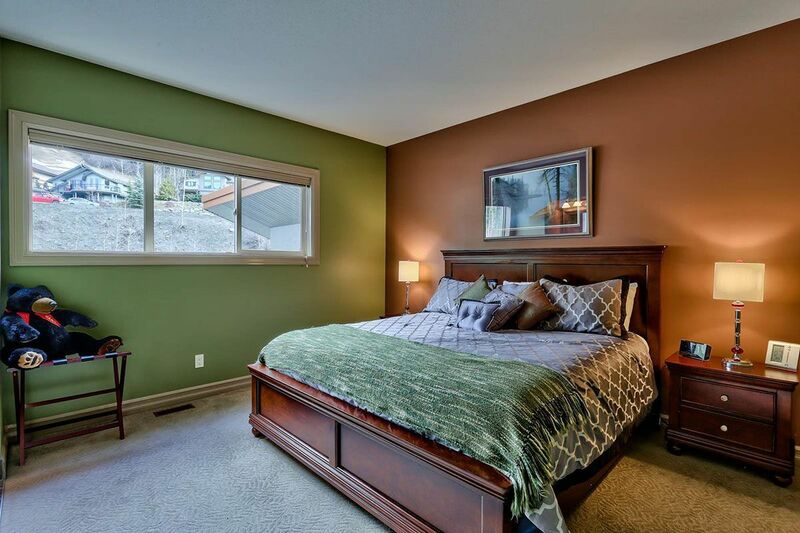 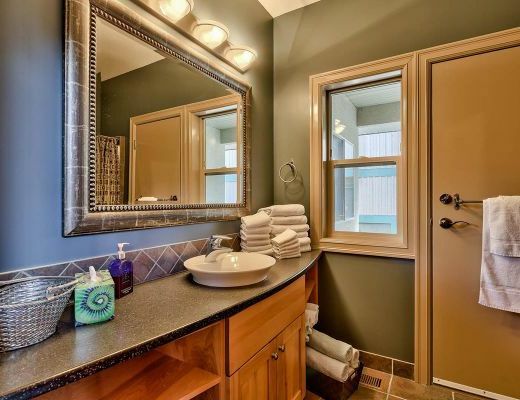 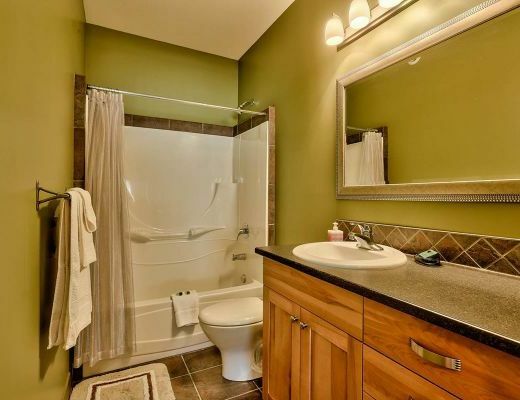 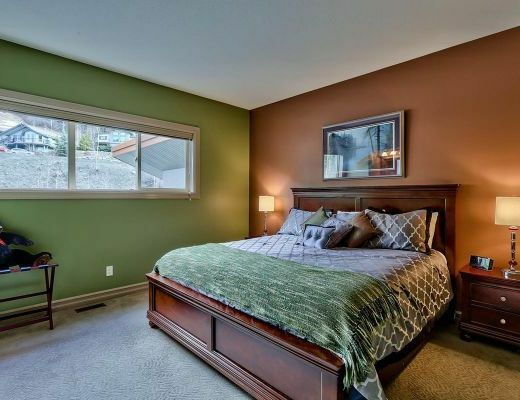 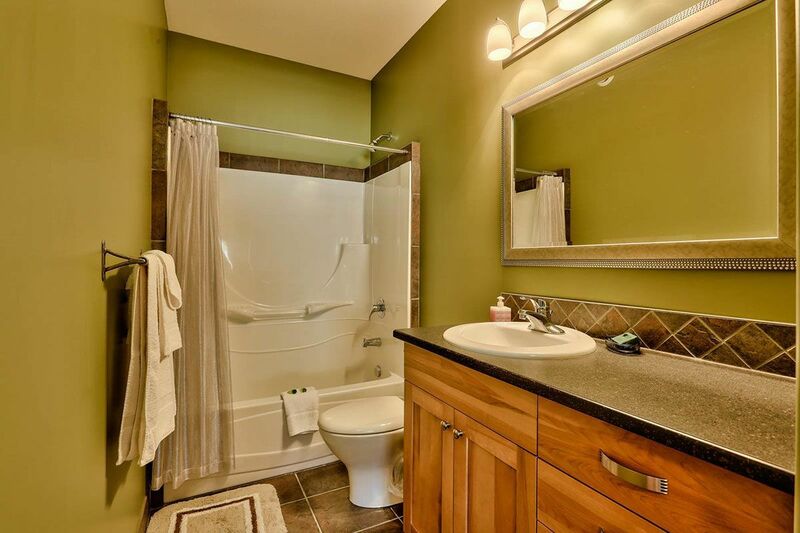 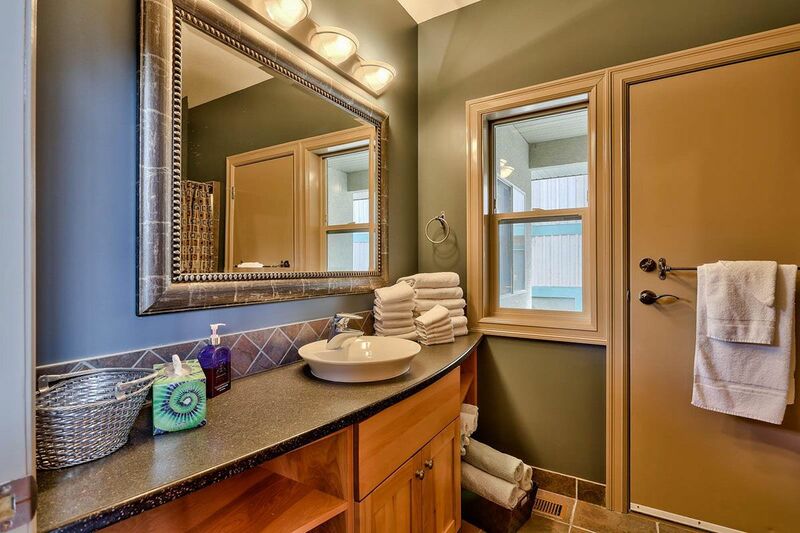 Two of the four bedrooms come with their own private ensuite bathroom. 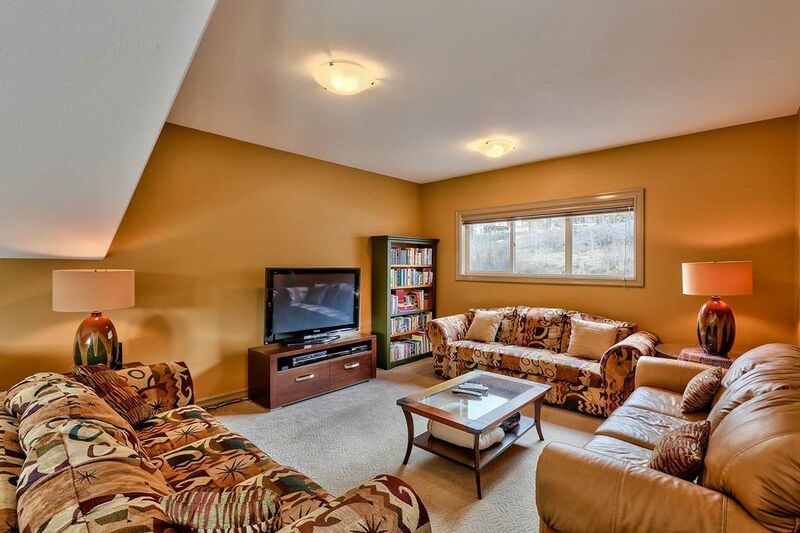 The Master suite is located on the 2nd floor adjacent to a lofted media/family room with plenty of seating. 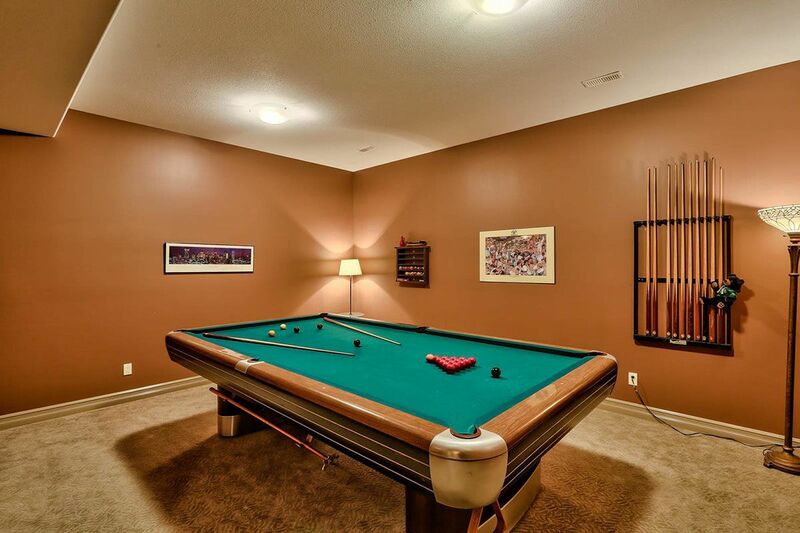 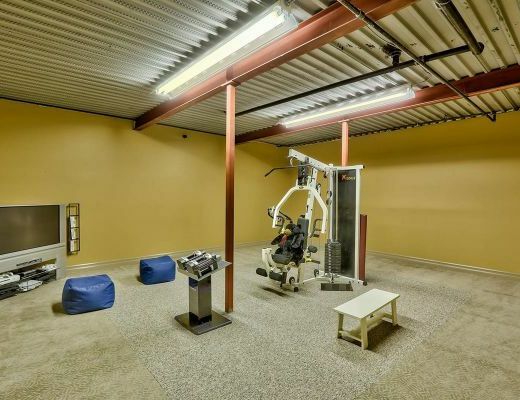 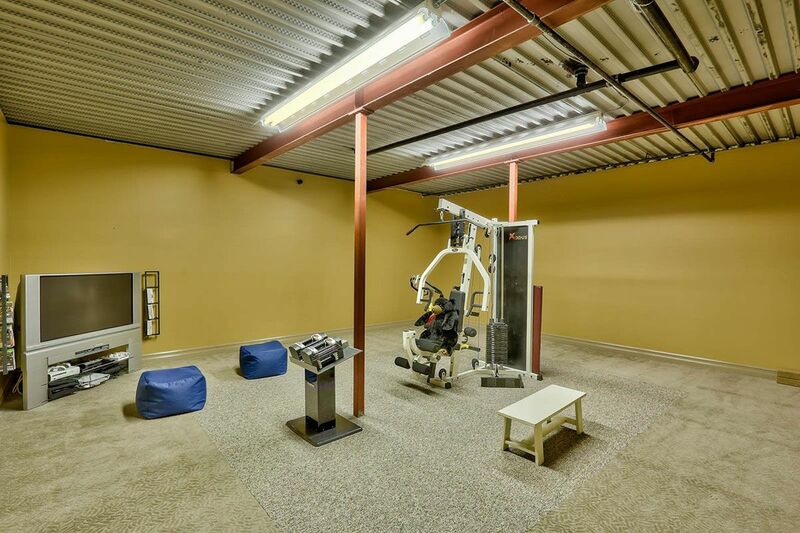 The basement offers more features: a game room with pool/snooker table as well as a spacious workout room with gym equipment, large TV and X-Box. 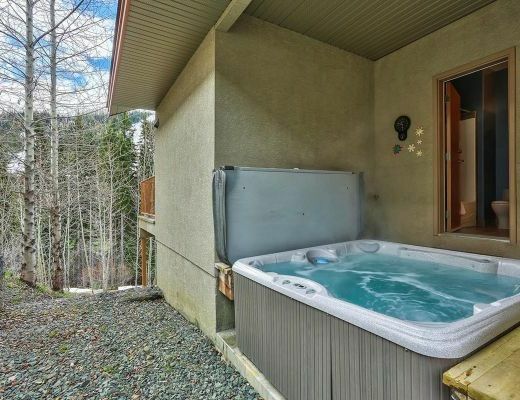 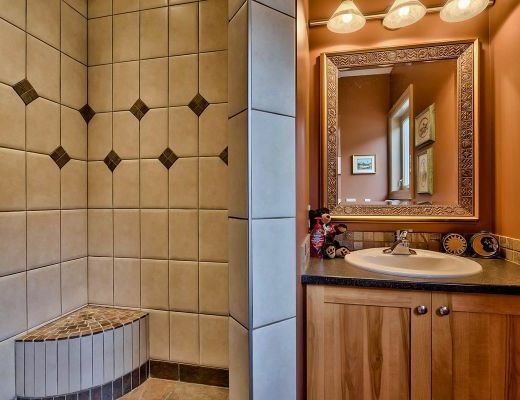 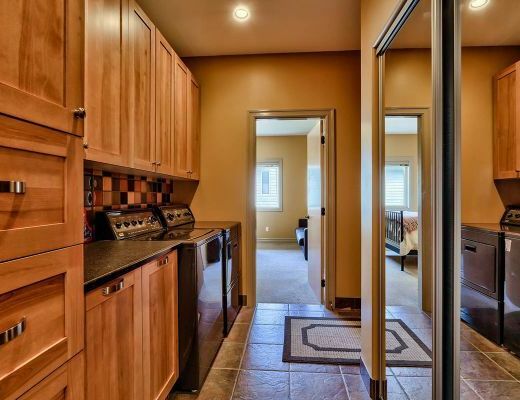 The 4-bedroom home comes with 3 full bathrooms, washer/dryer, 2TV/1DVD/1VCR, complimentary Wireless Internet, 2 car garage, BBQ and private hot tub. 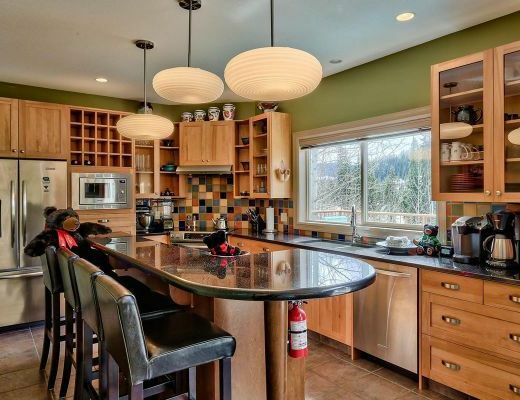 The dining room can seat 8 people and the kitchen island comes with 4 stools. 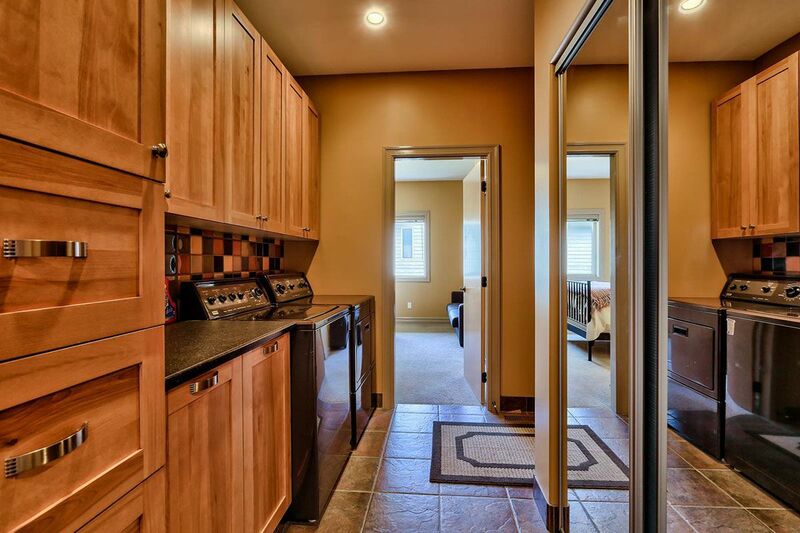 Special Note: Please note â€“ there is a rented suite with separate entrance tucked away on the north corner of the house.